The ubiquitous teddy bear has its origins in an politically framed anecdote about Teddy Roosevelt, and a broad shift in American attitudes toward wildlife. As predators headed toward extinction and the country urbanized, bears shifted from malevolent opponents to cuddly plush toys. John Mooalem started wondering why his baby daughter’s clothes and things had so many cute animal images. The question led the journalist to investigate efforts to protect three endangered species from extinction, and to unearth the history, evolution, and unsettled present of wildlife protection. The teddy bear story, and many other strange and revealing tales are recounted in Wild Ones: A Sometimes Dismaying, Weirdly Reassuring Story About Looking at People Looking at Animals in America. Mooallem’s discoveries raise serious doubts for the prospect that conservation can restore wild nature. At Churchill, Manitoba, the ecotourist destination hosting the much-photographed colony of polar bears that are the poster creatures of climate change, the warming climate will soon make the place uninhabitable for the bears. Human stewards will need to decide whether to leave the creatures wild and watch them die, or rescue the animals at the cost of the reputation of untouched wildness. In Antioch, California, scientists and volunteers make heroic efforts to keep an endangered butterfly species alive, in a landscape almost completely denuded of the sand dune habitat that hosted the butterflies and other rare species. It turns out, though, that genetically nearly indistinguishable insects are relatively plentiful, and can be bred to generate the endangered subspecies distinctive visual appearance. From Wisconson to Florida, a quarrelsome but persistent bunch of ultralight hobby aircraft pilots train tiny colonies of whooping cranes to migrate along new routes. The birds are learning to migrate on their own, although they have not yet successfully established new breeding populations. In his research, Mooallem finds multiple elders in several generations of various conservation movements who started as young idealists and have at some point given up the fight, only to be replaced by youthful crusaders who start with a lower baseline expectation of habitat and population. Following the paths where his research leads him, Moallem runs into contested and unresolved philosophical and scientific disputes about how to perceive, and how to deal with environmental degradation. But he doesn’t ask the questions in a straight-up way, and doesn’t follow some of the questions as far as they lead. Is the Endangered Species Act an ultimately doomed effort to maintain animals in perpetuity on costly life support, while half of known species slide rapidly toward extinction? Or is it a dramatically successful program in which 90 percent of listed species are recovering on schedule? What conclusion should be drawn from a research finding that 80 percent of species on the endangered list are “conservation reliant”, in need of some sort of persistent intervention, such as control of predators or prevention of human disturbance. In the chapter on polar bears, Mooallem is skeptical of the sentimental pleas to American consumers to sympathize with the imperiled polar bears, even as they keep driving SUVs. He observes the irony that wild animals became cute and cuddly objects for children after they ceased being day to day threats for urban neighborhoods far from the nearest predators. But he doesn’t go very far in questioning the perspective foundational to the modern environmental movement that the natural world is and ought to be pristine and free of human intervention. The lesson Mooallem draws is that nature’s responses to human choices are unpredictable, and may not have the desired results. “Nature perpetually absorbs what we do or don’t do it it, and disinterestedly spits out the effect of these causes. Nature is not a photograph that will always look good if we keep our fingerprints off it. It’s a calculator, adding up numbers we don’t always realize we’re pressing and confronting us with the sum. But Mooallem’s pessimistic conclusion may not be what Doremus meant ( her Berkeley intro course on Environmental Law is online and she blogs so this is fairly easily answerable). Native American practices of “gardening” the seemingly pristine New England wilderness were researched and documented by scholar William Cronon in a landmark book of environmental history, “Changes in the Land,” first published in 1983. Cronon’s conclusion, and a theme of his work, is that the ideal of “nature” as separate from humans is a modern and invented concept. Other works of environmental history, including these books on wetland restoration, document more Native American traditions of modifying landscapes that appeared “untouched by human hands” to European newcomers. In recent years, the Nature Conservancy and other environmental NGOs have shifted away from a vision of restoring nature to a pristine, pre-human state, toward a vision of protecting nature in a way that is sustainable for animals, plants and people. Following this philosophy, ongoing investments to maintain species aren’t necessarily cause for angst, chagrin, and assessment of failure. The question becomes what investments to make, what investments to prioritize, and why? This is now the subject of scientific debate. Should the justification for conservation be biodiversity, preserving the greatest genetic richness? Should the justification be providing ecosystem services, such as cleaning water and reducing the impact of floods. Should the justification be protecting the ecosystem, and identifying the key species, and the geographic parameters, that will help maintain the ecosystem? The chapter on the Antioch metalmark butterfly depicts the futility of the attempt to maintain the endangered butterfly and its host buckwheat plant. Now that the sand dunes that fostered the ecosystem are all gone, the new landscape favors a wholly different constellation of plants and animals. Removing migrant species that are better adapted to the new landscape is an unending, sysiphean battle. The chapter also reports evidence that there are other metalmark butterflies that are nearly genetically identical, though they have different wing coloring and patterns. The author finds the shifting definitions of species vertigo-inducing, and simultaneously admires and doubts the value of quixotic efforts to preserve nature in Antioch’s grim-looking industrial landscape. One could look at the same evidence in the chapter and reach very different conclusions. Seeking to protect the butterfly species after the habitat is gone beyond repair or restoration is not worth it. But efforts to protect species by restoring viable habitat – as in this project led by Liam O’Brien, one of the the author’s sources and heroes in the same chapter – are promising investments. Diagnosing species by surface appearance without genetic evidence is scientifically obsolete. And it would probably be better to focus on protecting the nearby viable habitat for the butterfly populations that are nearly genetically identical. Mooallem has an existential crises when he learns that even the apparently untouched North American wilderness encountered by Europeans once had huge land animals – giant mammoths, camels, sloths and others – which may have been wiped out by early human hunters. He doesn’t trace the environmental history further back through waves of population and extinction over millions of years. On the one hand the deep history isn’t comforting for the human species. We could become casualties of the current extinction wave. Current civilizations could go under. On the other hand, deep history shows that there is not and has never been a pristine historical baseline. The responsibility to monitor, restore, and help maintain the earth’s habitats is extremely daunting – humanity may not succeed at it. But we have already demonstrated the ability to destroy at a huge scale. We may not have a choice. Global warming and ocean acidification may be nature’s way of telling humanity, you break it, you bought it. The framing of environmental protection as gardening is often used as a pretext for clear-cutting, bottom trawling, and other practices that over-aggressively harvest resources with the excuse that humans will benefit and the environment will recover. The stewardship metaphor can easily be used to imply an unwarranted overconfidence that humans are destined to master the rest of the earth’s species, and the belief that a supernatural being has assured humanity that our rule is just and beneficent (just ask the buffalo and the passenger pigeons). But the romantic idea of pristine nature is a different myth that is getting in the way of making needed choices. I first came across the Teddy Bear story in an episode of the 99% Invisible podcast, which tells fascinating stories of the hidden and quirky origins of artifacts of modern life, such as revolving doors and the color of currency. The teddy bear story from Wild Ones uncharacteristically deals with the natural world; otherwise the ironic, geeky, bemused yet sincere attitude fits right in. This chronically ironic perspective, along with the journalistic method of attempting to weave a larger story from the threads of many anecdotes on a theme, together prevents the book from thoroughly grappling with the scientific and philosophical issues it raises. But it tells fascinating and compelling stories, raises important issues, and provides more than enough references for readers to follow up and take further, so I strongly recommend the book. Two of the hacks used building data to visualize the green-ness commercial and residential buildings. *GoodBuildings.info:* Building tools that let prospective commercial tenants and brokers view the great features of the building to drive demand for eco-friendly buildings. Discover performance on energy efficiency, water efficiency, waste disposal, walk/bike/transit, and occupant rating. They use data from LEEDS certification, Energy Star, walkscore.com, publicopenspaces. Much of the data is not available, so they build an API to get data by address. They build a widget that could be used on 3rd party websites, such as LoopNet, a tool to discover commercial properties for rent. One of the challenges is getting enough rating data available. Currently the solar data is closed, so they will ask to make that available. They also give buildings a transparency score to encourage buildings to provide more information. *PermitThis* takes data from building permits on data.gov to create a picture of green building retrofit history. Over 65% of San Francisco housing stock was build in 1959 or earlier, and areas of the city vary greatly in how close they are to current code. There are 15 years worth of data – they scraped the last month for the weekend project. A lot of data is released in messy excel spreadsheets. *Improved trouble ticket handling for Muni* Operators don’t want to use the current system because they feel they will get reprimanded for dealing with the problem. Muni has a plan to upgrade the radio system in 3-5 years, which is 1.27 billion boardings. The app shows a troubled train on a map and makes the information available to decision-makers. The app has automatically generated trouble tickets (for example, a train has long dwell time) and user-generated trouble tickets. The app also shows a dashboard view of all trouble tickets. This would be integrated into the NextMuni line manager laptop. *Transanka* Event ridesharing for EventBrite events – parties, conferences, concerts. Choose an event, indicate your location, and show if you’re riding, driving, or either. Then click to contact someone traveling to the event. Just that weekend, I had been looking into ridesharing apps for a local environmental nonprofit that wanted to facilitate ridesharing for its events. I hope this app gets built out and gets traction – there’s a need for it. *TheNeighborhoodGame.com* is a game to promote resilient communities by encouraging neighbors to meet each other. People can win points by giving a neighbor a high five, meeting a farmer at a farmers market, spot a solar panel, make street art with chalk, give a gift, learn some local history, or get someone to dance with them. They got prizes from local merchants and played the game in the NOPA neighborhood. And everybody wins by making friends in their neighborhood. They played the game this weekend, and people did every activity, including impromptu dance parties. People wanted to take the cards with them – they want to meet neighborhoods but need an excuse to do it. *Going Green* is a board game that educates people about financial benefits of going green including financial rebates. Each player character is a San Francisco neighborhood, each with its own strength. Players can choose to take actions like adding solar panels and ride sharing programs. The winner is the player that has the most environmental impact. And there was one advocacy app. *Speak.com* _The Call Wall_ is an app to call a representative and record an mp3 of the call that is placed on the site. They use Sunlight and VoteSmart databases for representative contact info. They are looking to use SoundCloud as the audio sharing backend. This week I went to a meeting of the Bay Rail Alliance, where the topic was paying for Caltrain. The agency is facing a grim deficit because it depends on earmarked state transit funds that are regularly raided for other uses. To close an immediate budget gap, Caltrain is making changes including increases in parking fees and charges for employer-funded transit passes, and cutting back on mid-day service. Based on overwhelming community feedback, a worse proposal to eliminate weekend service was taken off the table. Even with these changes, Caltrain’s revenue is unstable, unlike Bart, which gets some of its funding from local taxes. So the Bay Rail Alliance is interested in investigating potential sources of regional funding. If you’re interested, look for updates on the Bay Rail Alliance website. While the operating budget is iffy, the capital situation looks promising. The Bay Area is a candidate to get stimulus funding targeted at high-speed rail. Since the stimulus funding needs to go to shovel-ready projects, what this means in practice is that stimulus funding would go to items including Caltrain electrification, and preparing the Transbay terminal to handle the long-awaited extension of Caltrain to the water’s edge. See Transbay Blog for good detail and ongoing coverage. There are two underlying system problems that make these things a lot harder than they should be. The first is the underlying structural bankruptcy of the California budget process. The calls for reform seem to have quieted down a bit during the knock-down dragout budget battle in Sacramento but hopefully will pick up after the battle. (Comments on what’s going on would be welcome.) If reform goes anywhere, it will need a large constituency, and part of the alliance ought to be green; transportation is the single largest source of greenhouse gas emissions in California, and raiding transit budgets is not the way to get change. The second system problem is the fragmented of the bay area transit system, were 26 seperate agencies serve a metro area of 7 million. Better regional governance would remove a lot of un-needed friction in creating a great system, but would take major reform. A few really good signs in recent months. 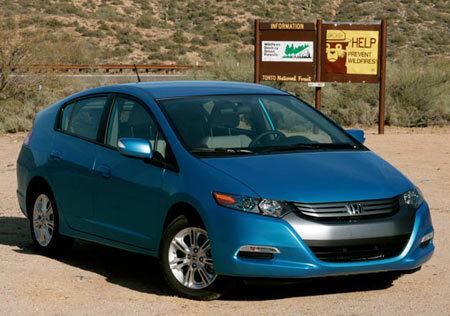 In April the Honda Insight hybrid became the best selling car in Japan. Not the best selling hybrid, or best selling in some other niche. The best selling car. Also, in 2008, “For the first time, investments in green energy overtook investments in fossil fuels for power generation ($140 billion vs. $110 billion)” according to a UN study. This is investments for power generation, not transportation fuel, but see above – electricity becomes automotive fuel. The overall math on worldwide energy supply is scary but these are very good signs. When I was a kid, I loved cycling over the hill to buy milk at the supermarket and bring it back in a basket. When I read Jane Jacobs as a in college it articulated what I had felt as a kid about the value of neighborhoods scaled for people, where you can stroll and chat with your neighbors, with “third places” where people recognize each other. So I sought out that experience. When I lived in Boston, I loved living walking distance from the supermarket, coffeeshops, hardware store and gym. In recent years, as information about global warming and limits to the oil supply have become mainstream, the ability to organize everyday life for less driving has become not just a preference, but a necessity to bring energy use to levels that can be sustained. When I moved to California, I deliberately sought somewhere to live that was close to daily errands and train, where I didn’t need to car commute to work. Then, I challenged myself. What would it take to drive less? Slowly, I built up a repertoire of skills. I got bike baskets and can use a bike for most errands. I learned how to take a bicycle onto the caltrain, for practical access to many places in San Francisco and the Peninsula. I got better gear for biking in the rain (but still choose to drive when it’s pouring out). I joined the Menlo Park Green Ribbon Citizens’ Committee to think globally and act locally. In California, driving is the biggest source of greenhouse gas emissions. So the biggest opportunity for transformation is to drive less. Now, there are some things that just aren’t practical to do without a car. Getting from Menlo Park to the East Bay. Buying furniture or appliances. But there are plenty of trips that are practical and good without a car. It just takes a little bit of learning and incentive to get over the hump and do it. So I’m putting together the Drive Less Challenge This is a an opportunity to use some neighborhood positive social pressure to help people get over the inertia of daily life and take a few practical actions to do less driving alone. The challenge starts on Earth Day, April 22 and runs for a week. We’re working with local businesses, schools, and neighborhood groups to get the word out. The scale is Menlo Park this year, to make it easy to manage with an all-volunteer team. (If you’re not in Menlo Park you can still participate; your prizes will be recognition and the knowledge that you’re taking a step toward sustainability). There plenty of systemic changes that would make it easier to drive less, but most people have “low hanging fruit” opportunities to make small tweaks in daily life that would add up to meaningful change, now and already. It’s time to challenge ourselves and challenge our neighbors. I’m coordinating the project with awesome team of Menlo Park volunteers, with minimal budget, weekends and evening time. I’m still doing some final tweaks on the “gameplay” and we’re busy getting the word out. If you’re interested and have questions and suggestions, drop a note in the comments or hail me as alevin on Twitter. Aaron Antrim wrote a sensible Facebook note downplaying the concept of the digital divide as it relates to giving digital access to transit information. In the world of public transit, there’s a common argument that it is unfair and wrong to provide excellent digital access to transit information, since some elderly and low-income riders do not have access to digital information. These days, a lot of people have internet access. Aaron points out recent statistics showing that overall, 75% of U.S. adults use the internet, and 56% of people who make less than $30,000/year use the internet. In the Bay Area, the overall numbers are higher, and the low-income numbers are similar: 79% had internet access in 2008, including 59% of households with income under $40,000. It’s fair to be concerned with the digital divide. But the everybody or nobody approach is poor business judgment. What company would reject a service that broadened their market, because only 60-80% of their customer base would use it? The recession and extreme decline in car demand is a blessing in disguise for green innovation. Typically, better new cars are adopted slowly because of slow installed base turn. People in the US keep their cars an average of 6 years, and the cars last 8-10 years on average. Even if a great new car comes on the market, someone who just bought a new car isn’t going to be looking for another six years. Now, people are holding onto their cars for longer, and new car sales were down 30-40% quarter over quarter in late 2008. Meanwhile, there are some impressive, energy efficient new cars on display at the Auto Show in Detroit. Now on the edge of commercialization, these models have been shown in advancing stages of development over the last several years. This car is Honda’s new Insight, coming in 2010. Larger than the original Insight, but cheaper and a little smaller than a Prius, it gets 50-60 mpg. What this means is that when demand for cars returns, more people will be ready to give up their clunkers. And the next generation of EVs and plug-in hybrids will be ready and waiting. When an economic revival will push demand for gas up past supply again, the technology will be there. This is good news for greenhouse gas emissions since lower carbon cars will be able to gain market share more quickly. Trevor Corson, the author of The Story of Sushi, is a sushi concierge. For an undisclosed fee, he will impart the secrets of sushi to a private party or corporate group. Corson knows and loves sushi, and loves to teach about it and that shapes his book. Casual sushi fans will learn surprising facts: sushi evolved from a dish of preserved, fermented fish. The “traditional sushi bar” arise from the post-WWII reconstruction period, when the American occupiers banned outdoor stands as a health hazard. The little cultural habits of American sushi eating aren’t authentic. Japanese eaters of sushi don’t mix wasabi and soy sauce; they dip the fish side of the sushi; and they use fingers not chopsticks. Readers will learn about the biology of fish and fermentation, subtle techniques of shaping rice and slicing fish. With a cultural historian’s eye toward the evolution of sushi, and an educated palate, Corson is cheerful about many adaptations of sushi in American culture: the field is more open to newcomers, including women and people of various ethnicities. California rolls and western-style sushi bars have become popular in Japan. His dislikes – sweet, fried adaptations of sushi – are esthetic but not purist. He is sympathetic to working class people who see sushi as a source of jobs, celebrities drawn to fashionable tasty food; learned and creative scholars and artisans. He’s an esthete but not a snob. David Kamp, the author of The United States of Arugula, enjoys food. He’s a second generation upper middle class foodie, the child of parents who went through phases of Julia Child, Moosewood, and “do everything the New York Times weekend section tells you to do.” Most of all, he loves chronicling the mores and foibles of upper middle class trendsetters. The United States of Arugula is at least as much about the rise of food publicity and celebrity as it is about food. The book chronicles the rise of promoters of American food culture, from the francophile tastesetters Child, Beard and Claiborne, to California’s post-hippie promoters of fresh local food at Chez Panisse and Niman Ranch, to the celebrity chefs of the day before yesterday, with shows on the food channel and franchise extensions in Vegas. Readers will learn the origins of numerous food trends that have flitted into fashion; baby lettuces, pizza with artichoke hearts, sundried tomatoes and balsamic vinegar. An underlying theme of the book is food as fashion; an individual or group discovers or invents a style; popularizes it, and creates a career. Another theme is foodiehood as social climbing. The aspiring upper middle class uses culture as a badge of membership in the club, and chases the latest trends in cooking and restaurants to compete for social status. Kamp has some self-awareness about food-snobbery — he’s a co-author of The Food Snob’s Dictionary. But it’s self-awareness of the Saul Steinberg New Yorker Map – poking fun of one’s own parochialism while celebrating it. Readers will learn about the love affairs of Craig Claiborne, James Beard, Alice Waters and Jeremiah Tower, the drug and alcohol habits of various food celebrities. Kamp feels the need to take sides in various internecine feuds. For example, he quotes numerous rivals and detractors of Alice Waters, pioneer of the goat cheese/walnut/baby greens California local style. Over the years, she has struck some ex-friends, ex-lovers, and ex-acquaintances as smug, bossy, promiscuous, politically naive, and not a very good cook. The takedowns of Waters strike this reader as a “foodie” variant on “punching up” – drawing attention to oneself by criticizing someone who is popular in order to get attention. Waters didn’t have to be perfect to be a pioneer. Though she may be temperamentally unsuited to win the political battle for a sustainable food system, she has been a founding visionary, and that counts. I enjoyed the book. It was fun to read about the origins of trends that played as the food version of life’s soundtrack. But it made me squirm a little. While I was reading the book there was butternut squash evangelized by a Full Belly Farm stall staff person waiting on my countertop. I craved raisins to go with it, inspired by childhood tzimmes. In the supermarket bulk bins, next to the golden raisins were tasty-looking sour cherries. I bought them instead. I mixed the squash with chopped walnuts and sour cherries. Yum, and wow. Farmers Market butternut squash bears no resemblance to the bland supermarket product. The sweet squash, tart cherries, and savory walnuts were a simple and inspired combination. Two important bills escaped Governor Schwartzenagger’s veto temper tantrum. SB735 requires regions to connect transportation and housing plans to reduce the need for car travel and help reach greenhouse gas targets. AB 1358, the Complete Streets Act requires city and county general plans to take into account the requirements of pedestrians, cyclists, the elderly and disabled. The suburban pattern of development in post-WW2 US wasn’t “natural” — it was shaped by policies that favored the automobile and sprawl. These two bills are major steps to reverse that trend. October is eat local challenge month. The goal is to eat locally grown food for the month of October. My participation will be to highlight the locally grown food that I’m already eating. I buy almost all produce from local farmers markets, because it’s environmentally sustainable, and especially because it’s fabulous. Farmers market fruit and vegetables are so good that they often seem like different substances from the stuff you get in the store. * Jujubes. A farm that sells many varieties of asian pear also carries jujubes, an asian fruit that has been cultivated for thousands of years. They taste like apples, but dryer and more floral. * Pomegranates. These are traditionally eaten for the Jewish new year. Eating pomegranates in the Northeast US is a tedious and disappointing obligation. In-season pomegranates in California still takes some care but is a real treat. * Artichokes from Guisti farms in Half Moon Bay. They sell an older, tastier perennial variety; a newer annual variety grows faster and produces more but doesn’t taste as good. If not LOCALLY PRODUCED, then Organic. If not ORGANIC, then Family farm. If not FAMILY FARM, then Local business. If not a LOCAL BUSINESS, then Fair Trade. If you have access to farmers market or locally labeled seasonal give it a try. Skeptics invoke January hothouse tomatoes in Maine to argue that local isn’t always more sustainable; but in-season apples are probably “greener” than apples from halfway around the world. And tastes better. And there are bargains at high season. So enjoy!